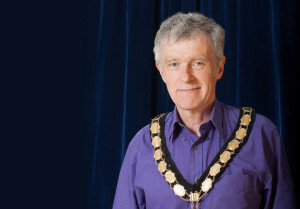 The new Mayor of Frome, cllr Peter Macfadyen, has named Fair Frome as one of his chosen charities. The mayor is committed to tackling issues of inequality alongside the charity. He said, “Fair Frome is a Frome-based charity set up to provide practical help and support for those struggling in the wake of benefit cuts or on low incomes. Working in partnership with other organisations in the town and directly with disadvantaged families, Fair Frome has already hit the ground running and established the Kitchen Pack Scheme and has been working closely with the Warminster and District Food Bank. In the next few months Fair Frome will establish a Frome based Food Bank widening take up and distribution and introducing new initiatives alongside it, such as fresh food distribution, free community dining events and other practical schemes to offer real support to people in need. Bob is enthusiastic about driving the charity forward. He said, “For many people Frome is a success story. Low unemployment, a thriving arts and social scene and a vibrant town centre have made Frome an attractive and great place to live. A recent Joseph Rowntree report stated that more than 50% of people living in poverty are in working families and therefore Fair Frome will create opportunities for families and individuals that are outside of the normal working week. Fair Frome has been established, with support from the town council and others, to tackle this inequality and its root causes. Fair Frome will also campaign with, and for families, to challenge the underlying causes of poverty. The charity have excellent staff and an enlarged and absolutely dedicated group of Trustees who have already rolled up their sleeves to put the building blocks in place for the new initiatives.